LG’s recently unveiled Stylus 2 Plus smartphone has reportedly gone on sale in India. According to an established Mumbai-based offline retailer, the LG Stylus 2 Plus is now available at Rs. 25,990. It’s worth noting that the smartphone is yet to be officially announced for the Indian market. At the time of writing, the Stylus 2 Plus was not listed on the company’s India site as well. LG Stylus 2 Plus was first announced in April however the company confirmed the pricing only in June. It was priced at $340 (roughly Rs. 23,000) in Taiwan. In terms of design, the Stylus 2 Plus retains the same form factor as the original LG Stylus 2. It however has received significant enhancements compared to its original sibling. 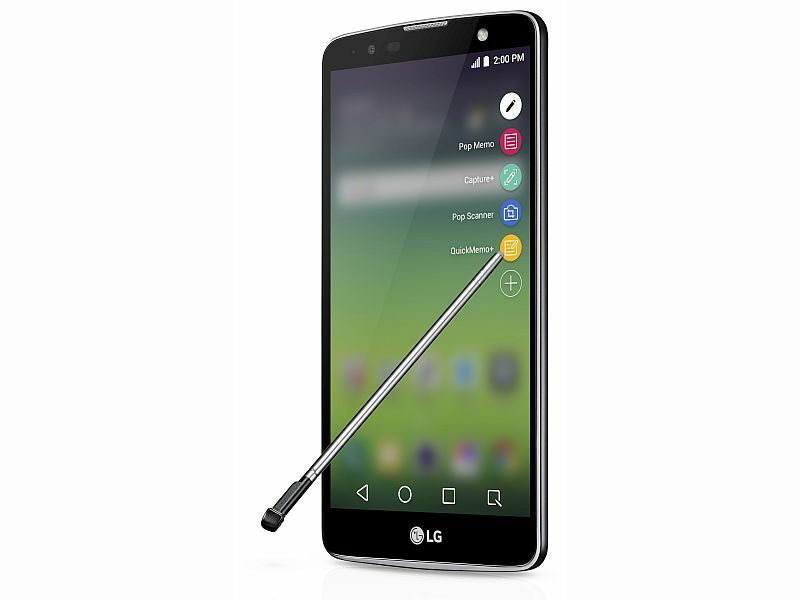 Similar to the LG Stylus 2, it retains the pen with a nano-coated tip which will offer more accuracy compared to the previous rubber-tipped pen seen on the LG G4 Stylus. Some of the other features that the LG Stylus 2 Plus comes include Pen Pop, which shows a popup menu when the stylus is removed and further offers shortcuts such as Quick Memo, Off Memo, and Pop Scanner. Another notable feature of the Stylus 2 is the Pen Keeper, which notifies users when the stylus bay is empty. For specifications, the LG Stylus 2 Plus features a 5.7-inch In-Cell display with a screen resolution of 1080×1920 pixels. It is powered by a 1.4GHz octa-core processor. The LG Stylus 2 Plus came in two variants featuring different RAM, storage, and camera configuration. At global launch, LG said that it would vary as per region. It comes in 2GB of RAM with 16GB storage model as well as 3GB of RAM with 32GB of storage model. There will be also a 13-megapixel rear and 5-megapixel front camera model as well as a 16-megapixel and an 8-megapixel front camera model. It is unclear which model has been launched in India. The Android 6.0 Marshmallow-based LG Stylus 2 Plus is backed by a 3000mAh removable battery and supports LTE, 3G, and 2G connectivity options. Some of the other connectivity options include Wi-Fi 802.11 b/g/n, Bluetooth 4.1, and Micro-USB. It measures 155×79.6×7.4mm and weighs 145 grams. The Stylus 2 Plus will be available in Brown, Titan, and Gold colours.